LGV 1H25 is a project realising an extension of the High Speed Line (HSL) between Le Mans and Rennes. With this extension the TGV will, from May 2017, linking Bretagne to Paris in less than 1:30 hours. To celebrate this event, it is not less than 3 exhibitions in 1 thematic cycle which are provided at Champs Libres in Rennes between end of 2016 and 2018: Bretagne express, Grande vitesse, Tous les trains sont des horloges and Envie de ralentir 1). 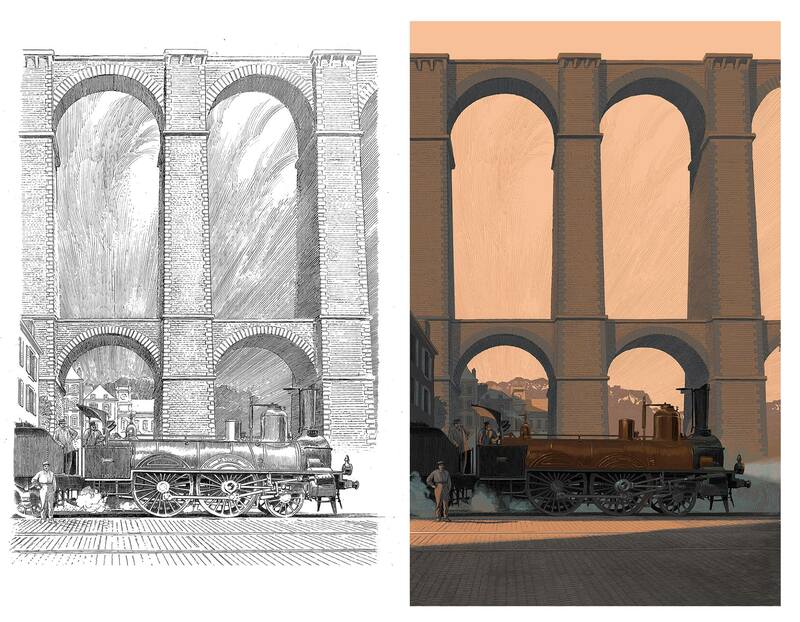 François Schuiten and Laurent Durieux are entrusted with the mission to realize the visual identity. The LGV1H25 generic visual above is divided itself into several different posters, one for each event that will mark this celebration. 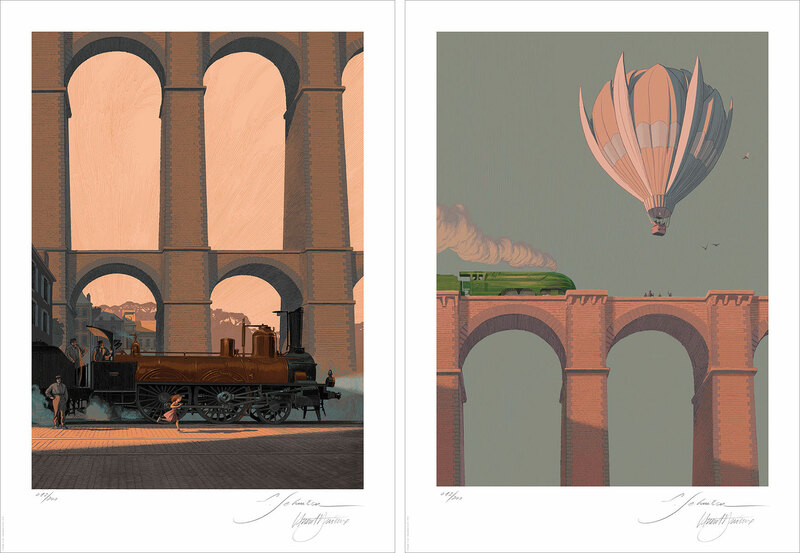 Atlantic 12 edited, in collaboration with the authors, two signed and numbered versions of the posters: Bretagne express and Envie de ralentir. The Envie de ralentir poster is slightly revisited for this numbered and signed edition. Both are printed in a a limited edition of 200 copies 2). Les Champs Libres made a new year video to celebrate their expositions in 2017. The exhibitions will be opened at April 4, 2017. François Schuiten will be attend this opening.